Not everyone enjoys a beach holiday and we all forget that destinations we think are just for winter often make ideal summer destinations too! Why do we think that beautiful locations such as the Alps are only available in the winter season for skiing holidays? Clearly they are not, in the summer the views are astounding and the temperatures in the Alps can reach a hot 35°C. There is a whole host of summer entertainment on offer, including biking, trekking and hiking, down hill biking, beach volleyball, golf, tennis, swimming pools both indoor and outdoor, yoga classes and walking in the fresh Alpine air. Check your chosen resort to see a list of their summer activites. I must point out at this stage that in just 3 months the high altitude resorts will open for the 2019 ski season – where has this year gone? It only seems like 6 weeks ago I was giving you the end of the ski season dates! I digress, so let’s get back to the late summer deals in these gorgeous locations. August and September – less than £400.00 per person a week can buy you a super holiday in the Alps which include flights, transfers and half board accommodation this is great value for money. August 25th – if you have a party of 6 who fancy a holiday together, you can live it up in style in trendy Val d’Isère. A two bedroom apartment is yours on a self catering basis for 1 week. This apartment has been reduced from £500.00 for the week to just £300.00 meaning your accommodation is just £50.00 per person! Obviously flights and transfers are not included in the price. You are within walking distance to shops and restaurants right in the hub of all the action. August 25th – departing again on this date to beautiful Lake Garda, who could resist? Book yourself a treat with a 4 night getaway that has been reduced from £812 to £572 per person. This includes flights from Glasgow and transfers in Lake Garda plus half board accommodation. The hotel has indoor and outdoor pools plus a private lakeshore and panoramic views of the spectacular mountain scenery. August 29th – a touch of luxury here will see you at a top class hotel in Zermatt for 1 week’s holiday reduced from £1,234 to £992 per person. Flights are included from Luton and transfers in Zermatt plus half board accommodation based on two people sharing. Indoor pool, gastronomic food at its high class restaurant and enjoy a tipple or two of the delicious wine at its very own wine bar. Oh and the views of the Matterhorn are to die for. September 1st – offers a fantastic deal for a 1 week holiday for two people sharing a room, including flights from Birmingham, transfers in Kitzbühel, on a half board basis. You also get packed lunches and afternoon tea in this offer which has been reduced from £499.00 to £399.00 – you are basically getting full board for the price of half board. The bars and restaurants are just a few minutes walk away in this chic resort. Watch this space for some super deals coming your way in October and November, as those offers are perfect for families or for those needing to watch their budget. The all inclusive deals are popular with families so they may be just what you are looking for. You know exactly what you are getting form the all inclusive holiday with no hidden extras. If you’re free this August or September get yourself a fantastic late deal in the beautiful Alps. 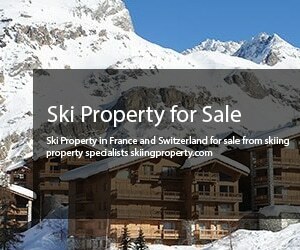 Ski property for sale in the Alps – who buys it?